A group of hackers on Saturday demonstrated via a YouTube video that they have successfully jailbroken iOS 9.3.3 on an iPhone 6s. 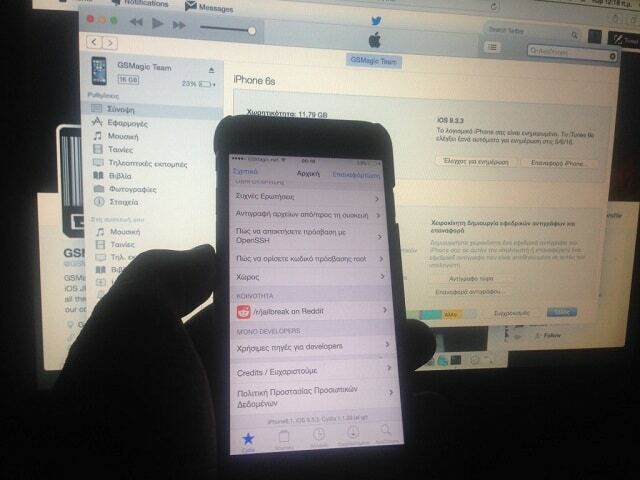 The group, which go by the name of GSMagic Team, are new to the iOS jailbreak scene. If they manage to release a public jailbreak for iOS 9.3.3 like they say they will, this will be the first jailbreak to be released by the team. Although GSMagic Team is new to the jailbreak community, the team is not new to hacking in the cell phone hacking scene. They became popular in 2003 when they released a software which unlocked all Nokia 3210. As for prove if the jailbreak is real, the team stated that they will not release any hint or proof on whether their jailbreak is real or not. They told the Reddit community that they next proof will be the public release of the jailbreak tool.